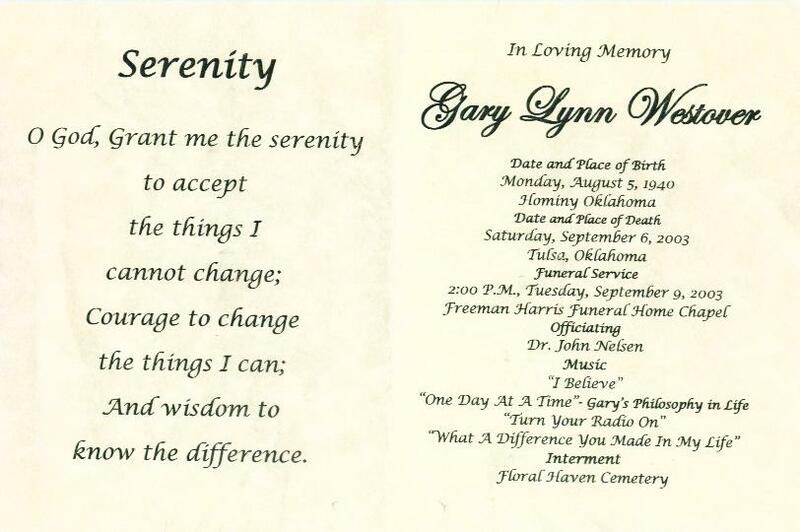 "Death Record - Gary Lynn Westover"
Birth location: Hominy, Osage County, Oklahoma. Death location: Tulsa, Tulsa County, Oklahoma. Burial location: Floral Haven Cemetery, Tulsa, Tulsa County, Oklahoma.